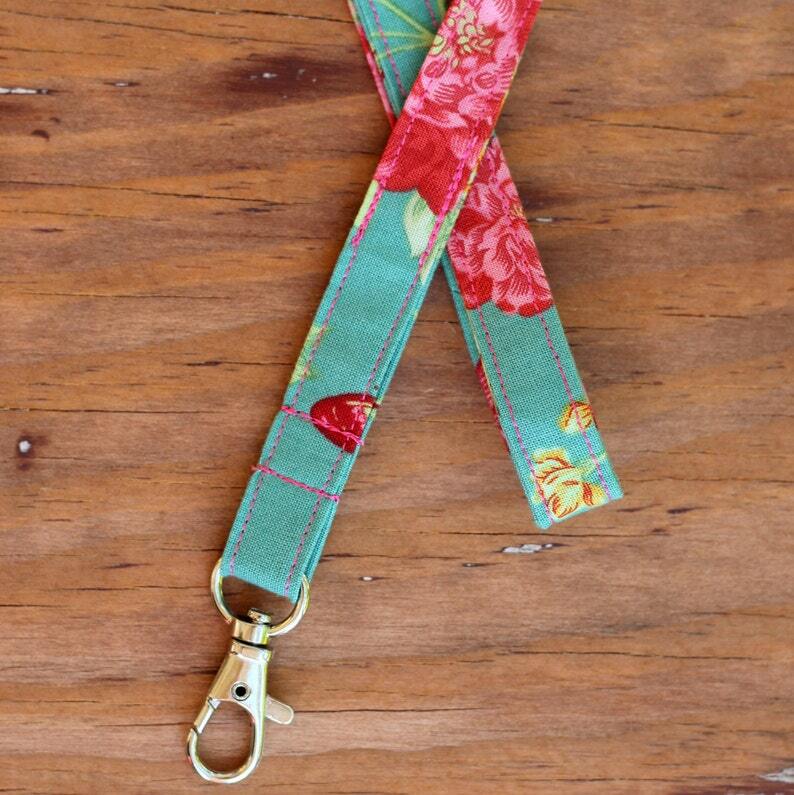 This romantic, feminine lanyard will hold your ID or keys in style. Crafted from a bluish green cotton with pink flowers, this is not your everyday holder. Not only functional, but pretty enough to be a fashion accessory as well. The lanyard measures 19" from back of neck to clasp. If you'd like it longer or shorter just add a note when making your purchase. The swivel clasp makes it easy to keep your id in place, or it can be used for keys and medical alert buttons. The cotton strap measures 19" by .65", with a lobster clasp attached. This made to order lanyard will ship within 3 days and US shipping is free. We suggest spot washing. If machine washing is needed, wash the lanyard in cool or warm water on a gentle or delicate machine cycle, to minimize typical fading with may occur over time as a result of washing. Tumble dry on a low temperature or permanent press setting and remove promptly.